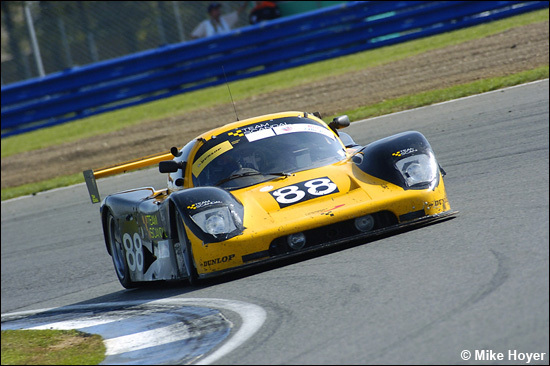 Part of the charm of the Britcar 24 Hours is the variety of machinery on display – from a VW Beetle and a Golf all the way to a seven litre Mosler. Somewhere in the middle of that range of machinery were two unique cars, two types of GT car that are only ever likely to be seen in Britcar and perhaps Belcar (and maybe British GTs, in the case of one of them). Unfortunately, these two cars shared a common part – and unfortunately, both suffered similar problems. The two cars were Matthew Manderson’s Darrian T90 and Simon Scuffham’s Prosport – and both suffered problems in the area of the rear wheel spindles. Both cars are quick though: the Darrian’s fastest lap was a 2:00.553 and the Prosport’s a 2:00.799. Both were only scratching the surface of their real potential. Matthew Manderson and his band of volunteers only finished putting their Darrian together on Thursday night, and prior to the race, Manderson had managed something like four hours sleep (in total) during the previous three nights. Their first problem in the race was the wastegate falling off, “probably because we put it together in such a rush”. Then they had a (Prosport) wheel spindle fail – and then it happened again. But with a rear wing assembled from two BAR / Honda F1 rear wings, this car is developing considerable downforce, and will be worth looking out for in the future. 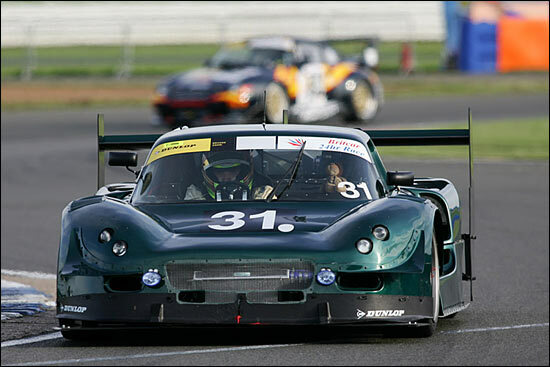 Simon Scuffham’s Prosport got off to a very promising start in the race, running an impressive sixth, and likely to run very long stints on its fuel. But wheel nut / wheel spindle problems saw the car lose one wheel at Bridge – which apparently bounced over the fuelling equipment on the infield – another at the pit entrance and a third on the Hangar Straight. But each time, the offending corner was reassembled, and #88 did get to the finish (and covered 385 laps) – running its famous £150 Granada engine, “which had covered 100,000 miles when I bought it”. The team’s spare is a bit more up-market: that cost 160 quid. “If we’d been allowed to run more races this year, we might have found the problem before the 24 Hours,” sums up Simon Scuffham. He’s got a cunning plan up his sleeve for 2007 – and with some stronger wheel spindles, and a through rebuild again, this one could be really in the thick of the action next September. It’s admirable what some teams manage to achieve with their Civics and Integras, but we do like people who go GT racing with something different. Well done Simon Scuffham and Matt Manderson.